NJNA’s Myrtle Beach Retreat | NJNA is Blogging! Carol, Sue, and I are prepping for our week of stitching at the ANG Seminar with a retreat in North Myrtle Beach! Sue and Carol enjoying some quality retreat time! 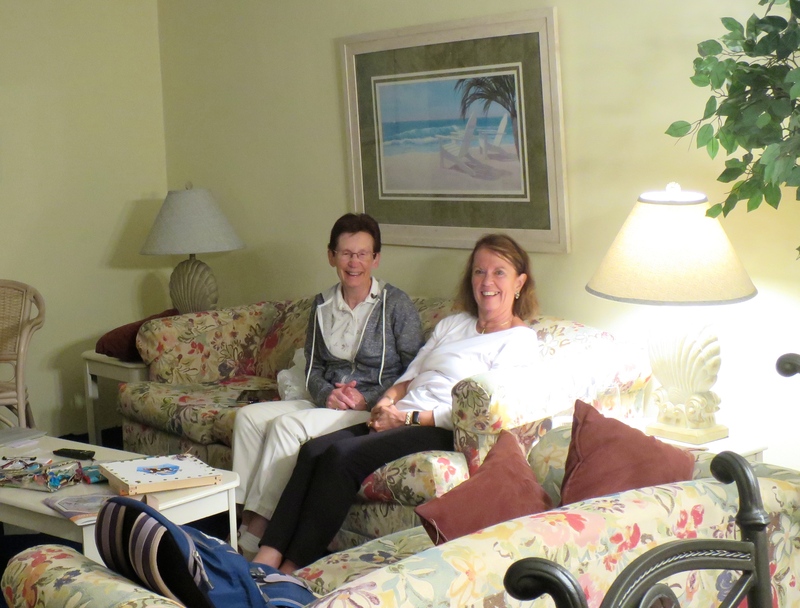 Carol traded her time share for a PERFECT setting in North Myrtle Beach! 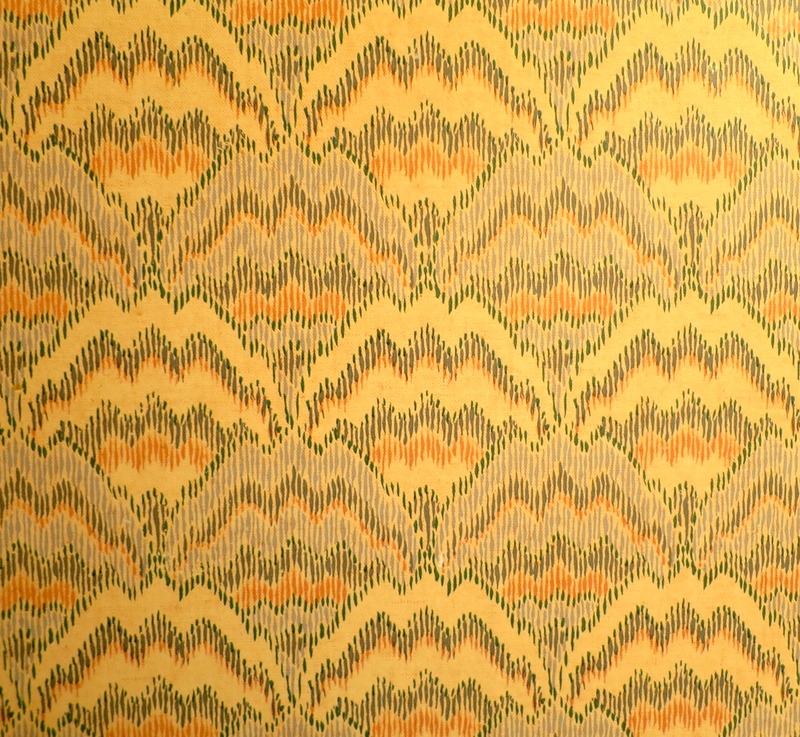 Bargello Wallpaper in the Bathroom! We’ve spent most of the time stitching, listening to the ocean waves, and reading! Tomorrow, Diane will join Sue and Carol. 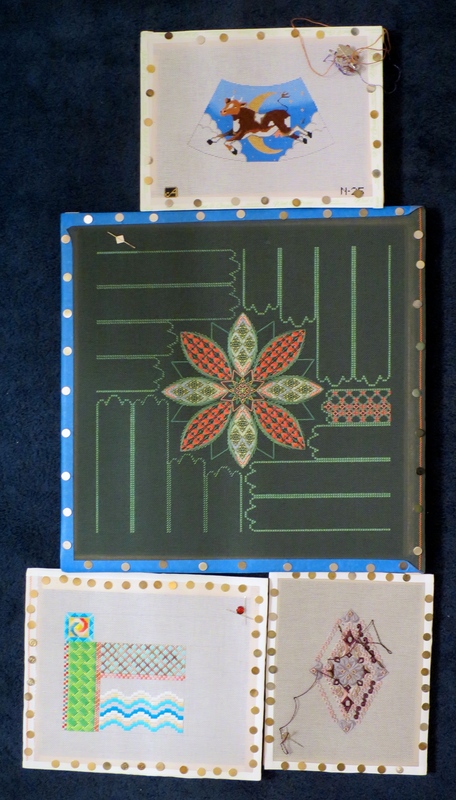 We are making progress on our stitching: Carol is stitching a Cow Jumped Over the Moon night light, Sue is stitching a Summer Humbug and a Kurdy Biggs’ Diamond design, and Rosie is trying to catch up on Razzle Dazzle for SOTM. Stitching Progress at the Retreat! Get ready to be bombarded with posts from NJNA at Seminar! We have nine members attending this year’s seminar! That’s about a third of our entire membership! Looking forward to reading everyone’s posts from Seminar and enjoying the experience vicariously!